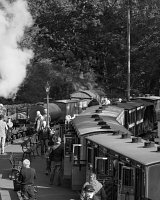 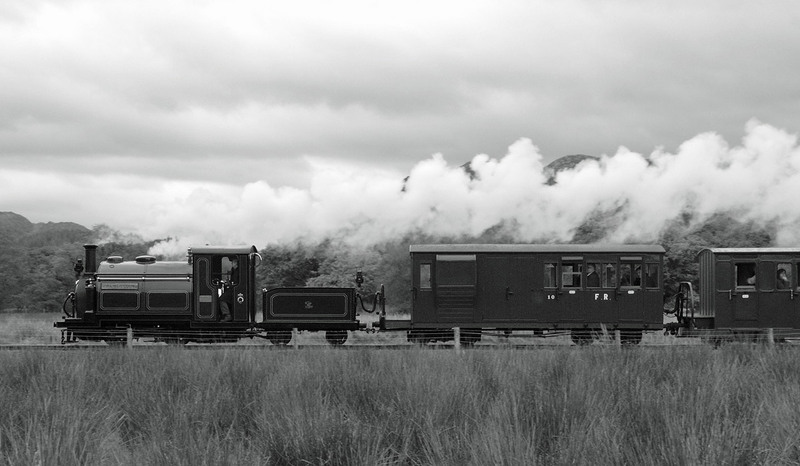 The Ffestiniog Railway has a lot of buildings. 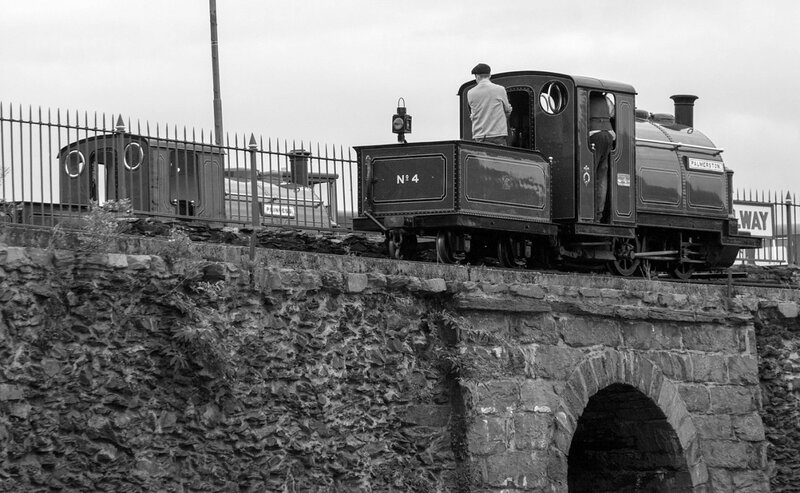 These quite often are overlooked but the rich and varied history add greatly to the ambience of the railway. 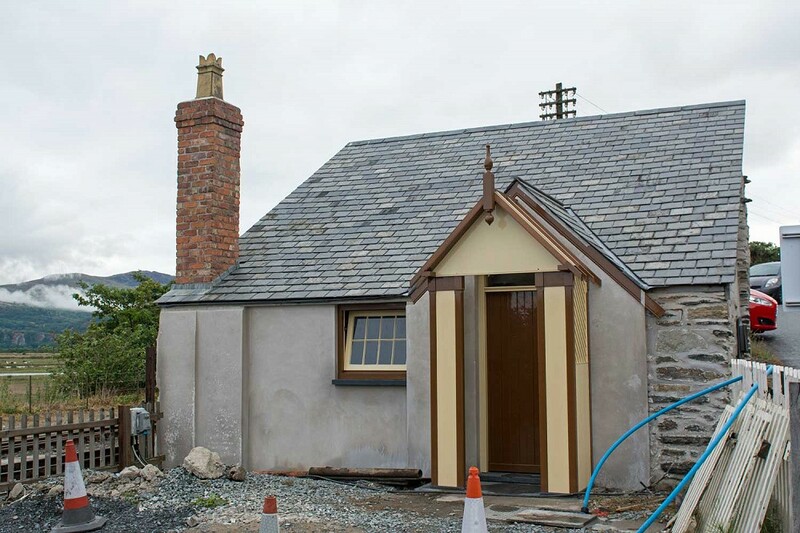 In Boston Lodge, the old loco shed was restored some years ago and the goods shed in Minffordd has been recently restored. 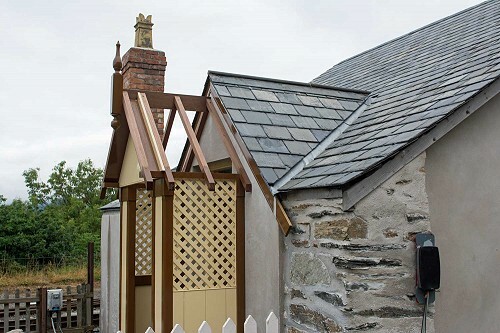 There are two significant restoration projects underway at Boston Lodge at present: Plas Smart, at the entrance to the top yard, was started a couple of years ago with a new roof and is progressing well with restoration of features on its front. 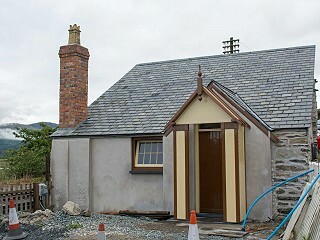 The Society, among others, has contributed to this project. 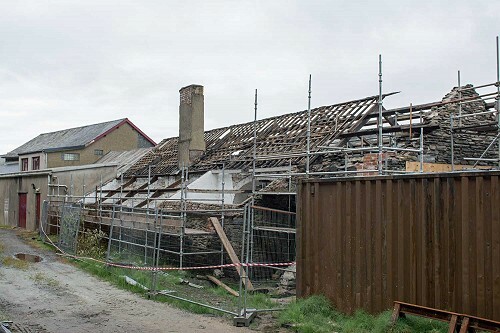 Another building that has been overlooked for many years is the old Blacksmiths Shop, again in the top yard. 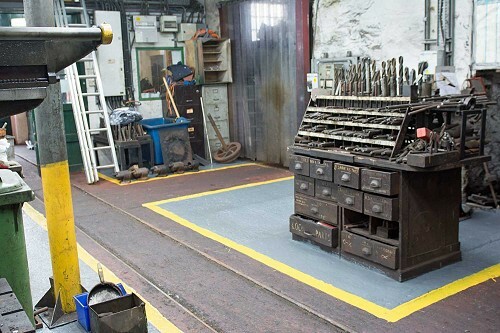 This was on the plans to be refurbished but its current condition has necessitated the need to speed this up. 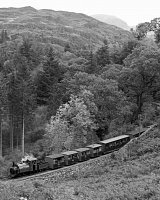 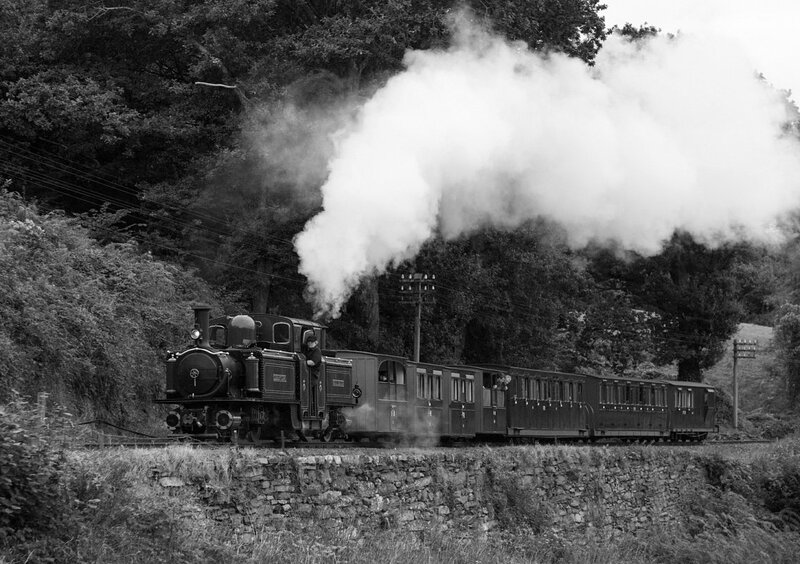 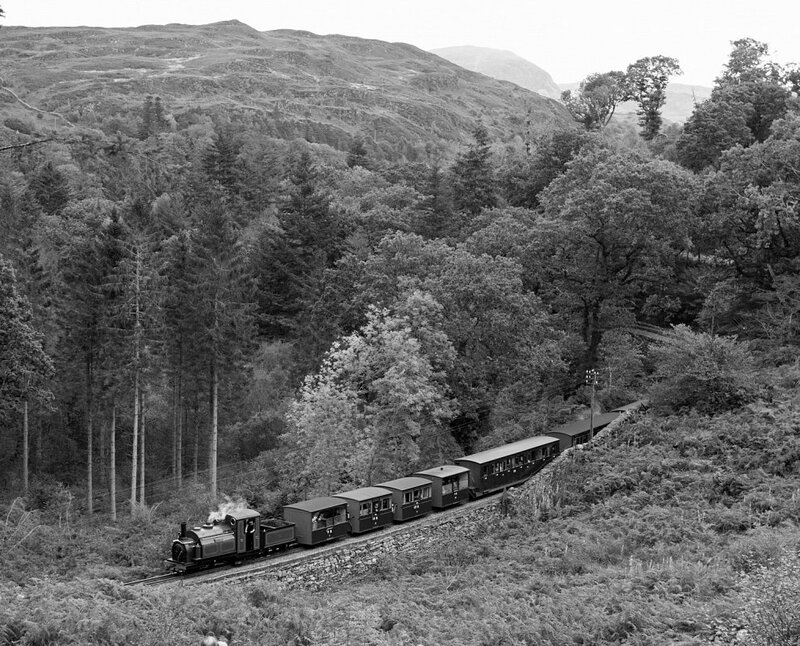 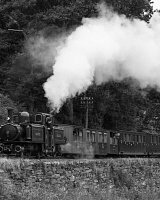 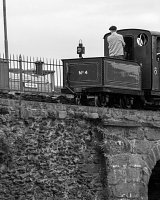 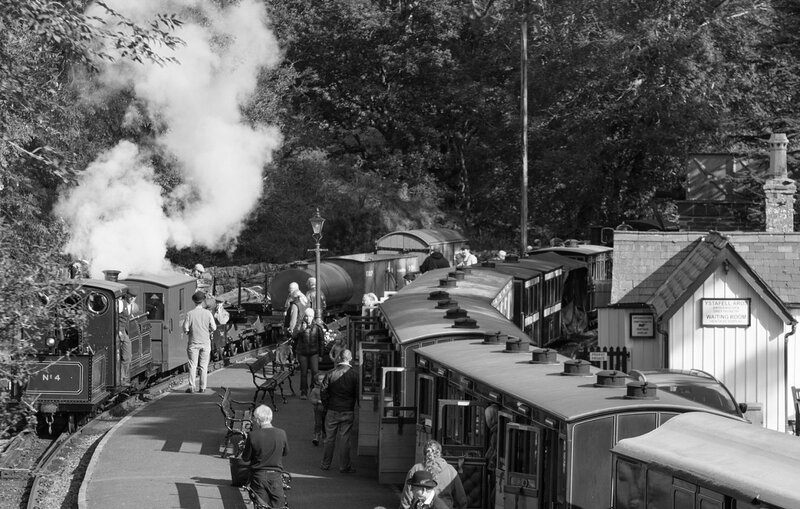 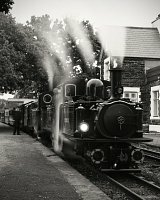 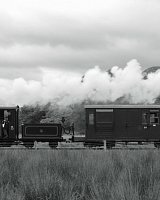 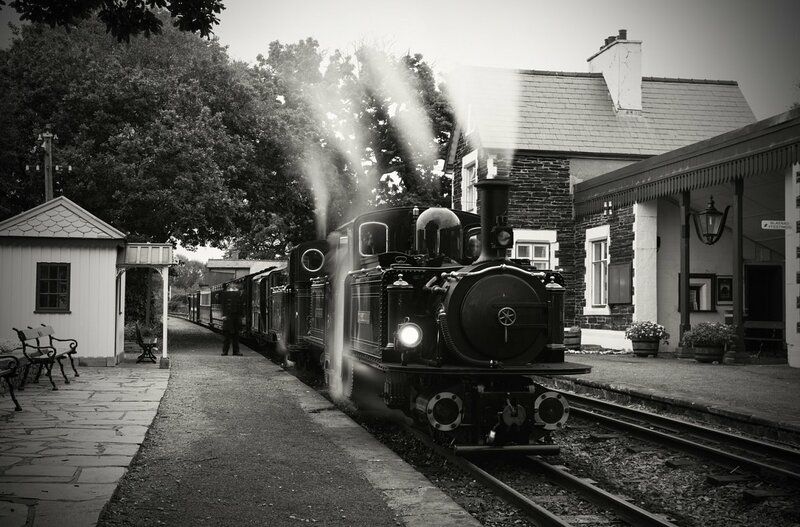 The Ffestiniog Railway Society is funding the initial restoration work with support to the tune of £93,000. 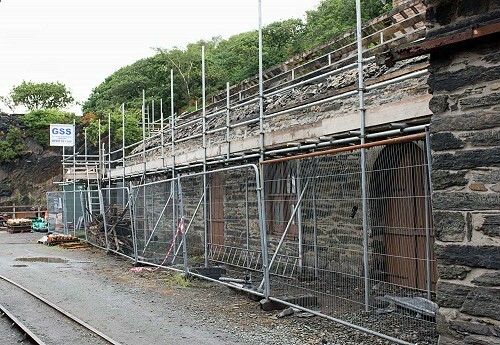 The work on the roof and walls will preserve the building and allow it to be back in use. 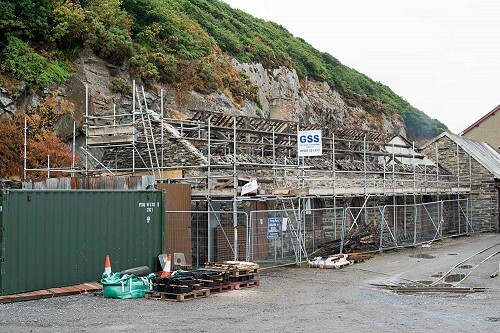 Additionally, it is easy to forget that the Erecting Shop is an original building which is in constant use. 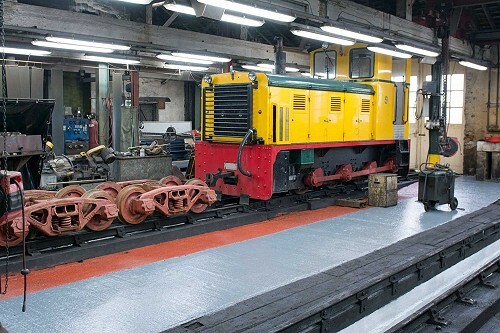 The working area has been recently clearly marked out with repainted floors and marked out walkways.